The NATA accredited laboratory has recently tested Paarhammer bi-fold doors and found the inward opening timber bi-fold doors achieve a 150 pa water penetration rating and low 0.3 air infiltration. Enmatic urinal flushing systems from Enware Australia have been designed to minimise excessive water use while reducing maintenance and maximising hygiene of heavily trafficked toilet areas. Imported by KE-ZU and available nationally, Little People pendant lamps cross the borders where light is art. Stairtile from Novaproducts Global provides a durable step edge for internal and external applications. Shapemakers, manufacturers of the Pictobraille range, recently completed a range of custom tactile and Braille signs in conjunction with Bentleigh Sign Company for the new Melbourne Convention Centre. Available from Polytec, Createc's high gloss kitchen doors and panels feature a high gloss finish that can be applied to one or two sides. The new composite resin access cover and turret from Sydney Water Tanks integrates the extra strength of composite resin technology in the access turret and cover with reinforced steel concrete tanks. Wintec Systems dedication to good design practice required an in-house test laboratory to carry out R&D testing and formal NATA accredited testing. The number of new homes sold in July increased by 0.1 per cent, following a 0.5 per cent rise in June, according to the HIA. Australia's housing recovery has continued in July, with solid across-the-board capital gains, according to RP Data-Rismark Home Value Index. 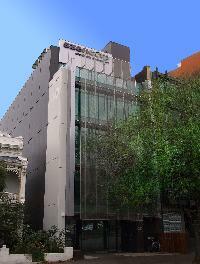 The Szencorp Building in South Melbourne has achieved the highest waste management rating awarded to date through the National Australian Built Environment Rating System. 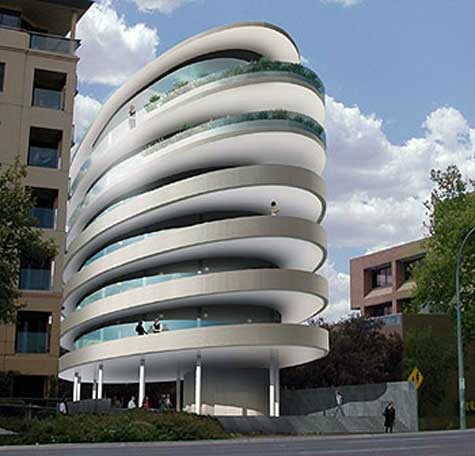 The architect behind a futuristic residential building proposed for Adelaide's Kent Town is taking legal action against the council for knocking back the proposal.